I\'m thinking "Enjoy the warmth, boys and girls. you are about to freeze your nuggets off." 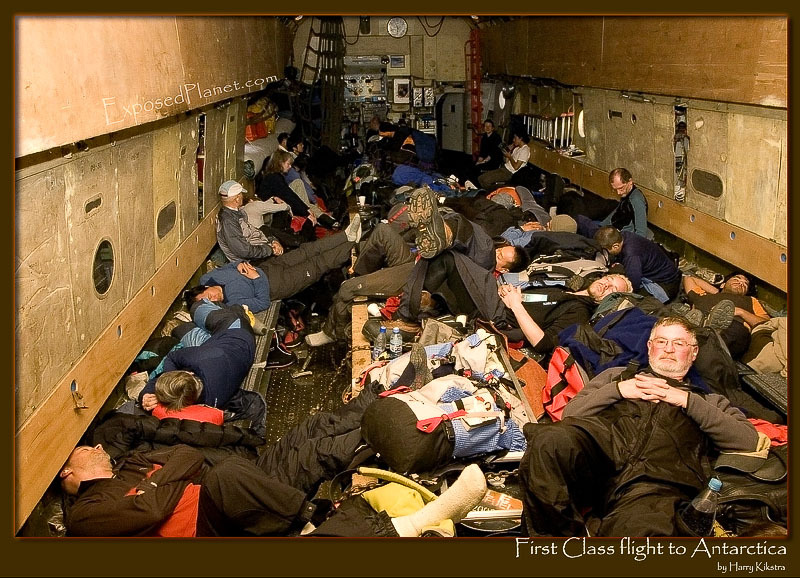 The story behind "First Class flight to Antarctica"
This is likely the most expensive flight on earth, combined with likely the least amount of comfort… Inside this Russian Ilyushin freight plane are about 40 people, headed for Antarctica. Most climb Mt Vinson, others to reach the South Pole on skis or by another plane. All have paid -tens of- thousands of dollars for this trip, of which the most expensive part is this flight.